Ladies and Gents of Aflac, first let me say that you are some of the most fearless, hardest working people in the insurance business. I really like being around you all and I respect you. If you have made it through the first couple of years and are making a good living then you’ve dealt with enough rejection to make a lesser person suicidal. It also means that you have a gift. You understand people and you know what motivates them. Recently, I did some work with an owner of a local company that has about 50 employees. As I was asking about their benefits, he mentioned that he had an Aflac agent who had been servicing the company for a couple of years in addition to the group health broker. The company owner seemed to like both the health insurance broker and the Aflac agent. There were a couple of employees who had made claims and received benefits, which definitely makes the risk feel more real to those who were not participating in any of the Aflac plans. This meant that the agent was able to get back in there and enroll more employees the next time he was through the door. So let me get right to the point. What he did need was a simple review of his current personal insurance, some legacy planning suggestions and some help in identifying a business income risk due to loss of key people. All of this took me very little time to accomplish and the result was great client satisfaction and much more commission than was earned by the Aflac guy….about $44,000 to be exact. I am not telling you this to brag. 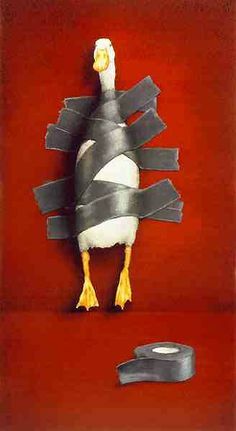 I consider myself lucky that the Aflac agent did not have the tools to get this done. He certainly had the relationship, which is the hardest part. So if this was so easy to accomplish, then why didn’t the Aflac agent do it? There are 3 simple answers to this question. He did not understand the potential. In a 50 person company, the Aflac agent usually only focuses on the rank and file employees and what they will buy. Each employee may be a potential of $200 in commission. Get 15 people to buy from you and you’ve had a great day. What you’re missing is that the earnings potential is easily 10 times that amount if you understand where to look. He did not know the next few questions to ask. And this is simply because he never learned the next few questions. Aflac agents are independent, which means they can sell other company’s’ insurance products. But, how would it benefit Aflac to train their sales force to sell something that Aflac doesn’t have? No marketplace for the higher end buyers. Contracts with the right carriers are easy to get. Wholesalers are falling over themselves to give away brokerage contracts that give you access to the whole world of Life and Disability carriers. They are not all created equal. Some come pretty much bare bones, while others come with a ton of great service. You may be asking… Why would he reveal all this? The reason is that the life insurance industry is so under-served that I decided to build a new consulting program, just for Independent Aflac Agents. We have already built 2 successful platforms for Wealth Managers and Property and Casualty agents. Even though this is more specifically targeted, I already know this platform has the most revenue potential of the three. This is because of a proprietary formula we use to measure measure income potential. Aflac agents consistently score a higher number. The average lost potential revenue is well over $100,000 per agent. Hey, it’s not all about the money either. Each dollar you earn can be traced back to a person you helped. Use this link http://www.meetme.so/insuranceprofessor1 to sign up for a spot on my calendar. We will have 20 minute call where I will tell you how the formula works. I will also reveal some of the strategies my clients are using with great success. P.S. This program is for experienced agents only. We ask that you have a minimum of 1 year experience before signing up for the call. P.P.S. One of the first questions I am often asked is, “Do you still sell insurance?” The answer is YES and I do not plan to stop. Here is why. Most sales coaches, trainers, consultants gave up a career in sales to teach. The problem is that trends change. What worked 5 years ago may not work today. I stay in the business because I like it and so I can keep my material fresh and current.